It’s a good problem to have and one I anticipated. He has always been a great reader. I knew he would be ahead of the class and challenging him would be a challenge. His kindergarten teacher responded by giving him tougher homework. She also gave him opportunities to read to his classmates and teach them things he was passionate about. Fast forward to first grade and we’re in the same boat. What’s a parent to do? When hunting for kindergartens, my wife and I investigated a small local private school. We were excited. They were very flexible and commonly had advanced students work with older students. It would be a good fit, but kindergarten for him would cost as much as college did for me. Not an option. Should we skip a grade? It’s tough being younger and smaller than other kids in your classes. You may be academically ready but not socially or emotionally. His preschool teacher skipped a grade with her child and regretted it. My wife, and many experts, believes that childhood is short enough. She didn’t want to push him to adulthood earlier. When I talked to his teacher and a school counselor about our concerns, their response was amazing. First, they admitted they needed to do something unique for my son. When I was concerned public school was going to deliver a one-size-fits-all education aimed at the middle of the class, they were treating him like a special case. We set up a meeting with the counsellor and his teacher. The principal and two other administrators also showed up. Five employees of the school were sitting with my wife and me deciding how to teach my son. They had new tools. They were still learning how to use them. Within the school district is a completely online branch. Students study and communicate with teachers exclusively through the web, although they have a physical campus they can use to meet other students, interact and study. 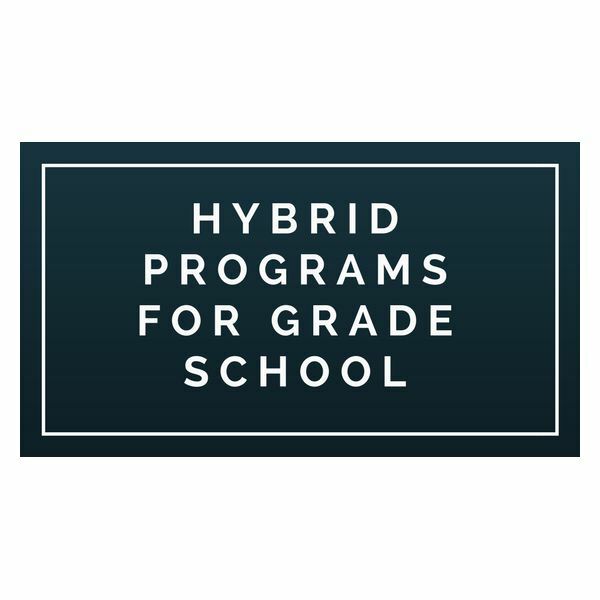 Working with the online school, my son’s school devised a hybrid strategy. The identified his strengths (language, math and science). In the classroom, he used a computer to study online courses to his level in those disciplines. When the other students were doing first grade math, he was charging through second grade on his way to third. He was energized by the gamification of it all. He earned badges. He could see himself advancing toward the next level. He ate it up. He was excited to get to school. Moreover, we could access these learning tools at home. All students have strengths and weaknesses. For every kid advanced in reading, another one is behind. This hybrid technique works for both. When most of the class is reading together, those that need extra help can be working online at a lower level. The self-driven, reward-based online instruction may be a better fit. Identify strengths and weaknesses in your students. Find online programs that fit those needs. Keep students with their peers. Don’t alienate them as dorks or dummies. You don’t have to say it. Other kids will. Being able to study and teach in a virtual environment is new to everyone. Teachers and administrators are still learning how to use their new tools. It doesn’t have to be one or the other. Students can benefit from a customized online program without leaving their class. They can still go to recess and have class parties without being separated from the traditional school experience or being pushed into an older social group.